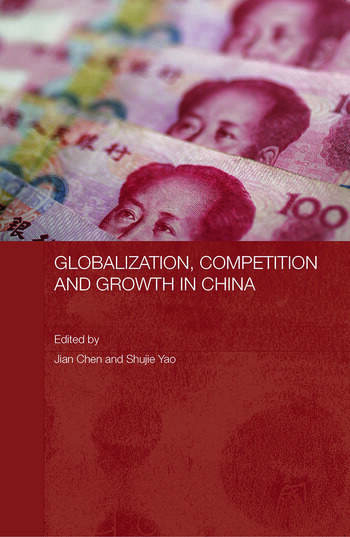 Presenting original work and new thinking on a wide range of important issues, the book explores the current state of globalization, competition and growth in China. China has produced an economic miracle since the late 1970s in its transition from a planned to a market economy. This remarkable economic performance was brought about by an open-door policy and gradual integration with the world economy, culminating in China’s admission into the World Trade Organisation in 2001. Studies included in this book focus on issues such as foreign direct investment, international trade, reforms in the financial sector, the development of rural township and village enterprises, the investment strategies of multinational corporations, and economic growth. Shujie Yao is Professor and Chair of Economics at Middlesex University and Special Chair Professor of Xi'an Jiaotong University. He is also Executive Director of the Chinese Economic Association (UK) and an International Consultant Economist (UNDP, FAO, World Bank, EU, UNCDF). Jian Chen is currently Senior Lecturer in Finance at Business School, the University of Greenwich. He received his PhD in Finance from King's College, the University of London. Jian Chen is Executive Director of the Chinese Economic Association in the UK (CEA (UK)) and served as President of CEA (UK) during 2003-2004.